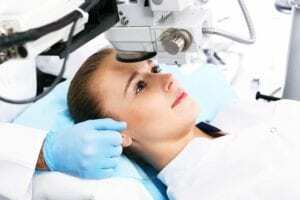 PRK vs LASIK – which is the best option for you? When encountering vision problems, the most common thing for people to do is to immediately get a pair of contacts or glasses. 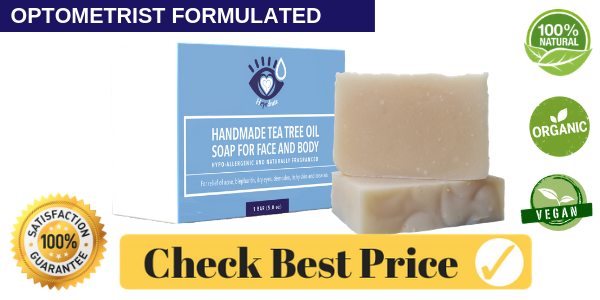 As we all know, these products can quickly turn into a hassle. After all, it adds another extension to your body, something which you always need to keep with you if you want to see clearly. However, anybody who is willing to spend a little extra in order to do eye surgery will have the best opportunity to get their vision back in full force. Although there is clearly a small risk in having eye surgery, it is the best option for those who simply can’t stand their glasses or contacts. PRK and LASIK are two of the most popular types of surgery for correcting your vision. On this page, we will provide you with everything you need to know about these two popular types of vision correction surgery. 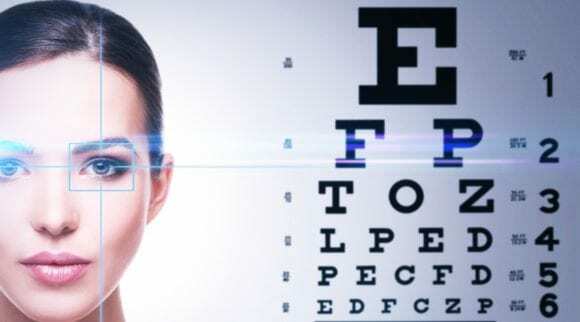 Although both of these surgeries can definitely result in a complete improvement of your vision, they both have their share of advantages and disadvantages. Before we provide you with a comprehensive review of both of these surgeries, let’s go ahead with the basic information that you need to be aware of. 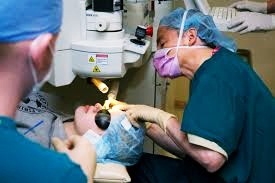 PRK surgery is very similar to LASIK surgery. The biggest difference between these types of surgery is mainly in the first step of the surgery. If you choose to receive PRK surgery, you will need to remove a part of the epithelial layer of your cornea, whereas LASIK patients receive a circular flap on the cornea which is later replaced at the end of the surgery. Since the cornea is simply reformed and there isn’t a new flap created, PRK patients receive a surgery where more tissue is removed compared to LASIK. This means that the total recovery time of the surgery is a tad longer. In most cases, patients who receive PRK will have a slightly longer recovery period and more pain during the initial days after surgery. 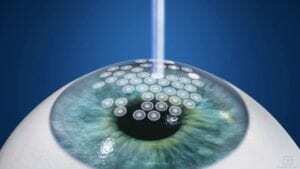 What is Laser-Assisted In Situ Keratomileusis (LASIK)? LASIK surgery may be the first thing that comes to mind when you are thinking of doing some sort of vision correcting surgery. As the most recognized surgery, this is also typically the first option that people will research. A little less invasive, there is typically less pain and risk of infection. The biggest difference with LASIK is what the surgeon will do to your cornea. 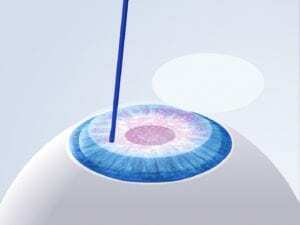 Instead of lasering all of the corneal layers in PRK, during LASIK the epithelium is removed temporarily while the laser procedure is performed. The epithelium flap is then replaced. Many surgeons will recommend another type of vision correcting surgery if your cornea is too thin or overall risky to operate on. Now that we briefly described some of the most basic features of both these types of vision correcting procedures, we are now ready to break down each of these procedures in greater detail so that we can fully compare PRK vs LASIK surgery to provide you with all the information that you need to know. When finished, you should know which surgery is best for your needs and understand the pros and cons of both. In order to fully compare PRK vs LASIK, it’s important for us to provide you with all the relevant information for both types of vision correcting surgery. In all reality, both these types of surgery can be a great way to get your normal vision back. However, there are still many things which you need to be aware of. Anesthetic eye drops are applied. The central part of the corneal epithelium is removed. 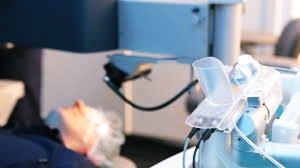 An excimer laser is used to reshape the cornea. Antibiotic and anti-inflammatory drops are applied. The eyes are covered with bandage contact lenses. As we can see, there are really not that many steps involved in PRK surgery. In fact, it may be an overall shorter process since it doesn’t require the doctor to create a flap, as LASIK surgery does. 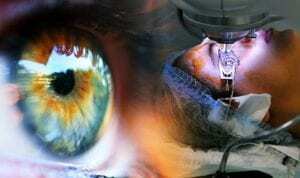 Although anesthetic eye drops are used to eliminate pain during the surgery, they will quickly wear off afterward. A PRK patient will typically experience plenty of pain afterward, but there are ways to combat this. There are many different success rates that you may come across while researching the results of PRK surgery. Although the chance of reaching 20/40 vision is around 95%, those who notice a complete improvement are slightly less common. Typically, about 80% of those who have PRK surgery will achieve 20/20 vision. Overall, the results are very good. Although there is a small portion of the corneal epithelium that needs to be removed, the excimer laser only removes microscopic amounts of tissue inside to reshape the cornea back to its suitable state. However, one of the major differences we notice when we compare PRK vs LASIK is that PRK patients don’t have a flap of epithelium replaced after the procedure. People who are the best candidates for this surgery can quickly be separated and labeled out by an eye doctor. There aren’t many options to permanently correct your vision without using contacts or glasses. However, if you want to receive a comprehensive treatment which can permanently repair your vision, PRK and LASIK are both wonderful choices. Typically, someone who goes in to receive LASIK who has thin corneal tissue will be immediately recommended PRK over LASIK surgery, since the risk of negative results is much lower and less risky for people like this. With PRK, the epithelial layer which is operated on takes a lot longer to heal. Specifically, patients typically need to wait two weeks before their vision starts to stabilize. This is due to the fact the original corneal tissue needs to heal and isn’t replaced with an epithelial flap like in a LASIK procedure. Accordingly, PRK patients will experience a slightly longer and more uncomfortable recovery period. 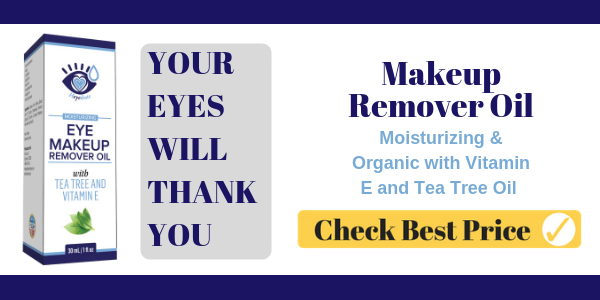 The obvious benefit of this is that your eye will generate completely new tissue. As we have mentioned, those who receive LASIK surgery will have a flap created with the laser which is then later replaced once the surgery is finished. However, some people simply don’t have enough tissue space for the eye doctor to do this safely. If you have a thin layer of tissue which can’t easily be made into a flap, PRK surgery will immediately be recommended by your doctor in order to ensure the best chance of a successful surgery. Since a larger portion of tissue is taken out, the healing process will be a little more strenuous. If you want to have PRK surgery, you don’t necessarily need to wait several weeks or months by making an appointment. In other words, the time between when you make the decision to receive PRK surgery and actually having it done can be realistically finished within a couple of days. The time of recovery will be where you will need to do the most waiting. Typically, results will be noticed roughly two weeks after the surgery. Although LASIK eye surgery is usually the type of vision correcting surgery that most people are aware of, PRK eye surgery has actually been around a little bit longer. 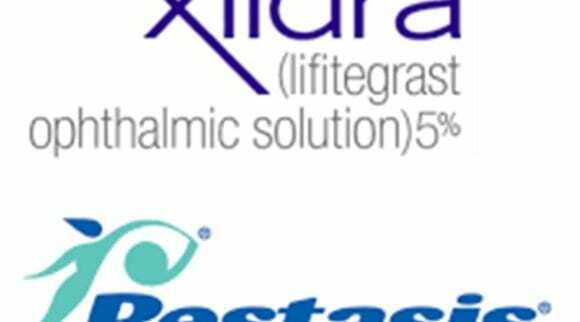 PRK gained FDA approval for correction of nearsightedness in 1995 and for farsightedness in 1998. LASIK didn’t receive their first approval until 1998, three years after PRK had already been legally practiced on patients to correct problems with nearsightedness. However, both these types of surgery are very similar, and LASIK was clearly developed to branch off the success that PRK had initially experienced. Since PRK removes an outer layer of corneal tissue and doesn’t create a replaceable flap, there is less risk of infection as a result of this process. 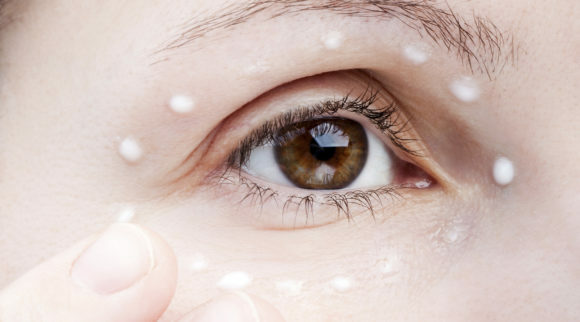 Although there is clearly still a risk of infection, it is a completely different risk than we see with LASIK surgery. Specifically, the absence of a flap forces your eye to heal back to its normal state with completely new tissue. Although this may take longer to heal than LASIK, you will also receive a completely new and fresh set of corneal tissue as an end result. Any sort of surgery that you receive comes with a fair share of risks. Any honest doctor will be sure to immediately share all of these risks with you right away. Typically, the most immediate negative side effects that a PRK patient will receive include dry eyes, vision problems, and even infection. Although there is a clear risk of the surgeon making a mistake which results in complete loss of vision, it is much more common that the vision doesn’t completely improve to the desired state or that the healing process ends up being very uncomfortable and strenuous. As we can see, the PRK surgery is a great choice to consider if you have a thin layer of tissue on your corneas. However, this also means that you will be forced to go through a long recovery period, since a larger portion of tissue is removed that will need to grow back. For this reason, many people will instead prefer LASIK. Although LASIK surgery is very similar to PRK, it’s important for us to completely break down all the main details and potential complications with LASIK, so that you can decide which one is best for your personal needs and circumstances. A flap is created on the outer cornea. The flap is placed back into place. Antibiotic and/or anti-inflammatory drops are applied. When we compare PRK vs LASIK in terms of the necessary steps in the procedure, it immediately becomes clear that both these types of surgeries require very similar steps. However, the best candidates for LASIK surgery are those with plenty of space on their corneal tissue for the surgeon to effectively create a flap instead of completely removing the tissues. If you choose to have LASIK surgery, you will be extremely likely to notice quick and drastic results. Well over 95% of patients notice that their vision either improved to 20/40 or 20/20. Of course, it is slightly more likely to improve to 20/40 vision than it is to go up to 20/20. If you choose to be operated on by an expert eye surgeon, the odds of the surgery going wrong are very minimal. One of the biggest reasons that people may prefer LASIK over PRK is the fact that the surgery is slightly less invasive. Since the surgeon will only create a flap and not completely remove the outer tissue of the cornea, the patient will typically recover very quickly. After all, all that your eyes will need to do to heal is reconnect the tissue back in place. Those who have PRK surgery, on the other hand, will have to grow completely new tissue since part of the outer layer of the corneal tissue is removed. When somebody makes the decision to stop using their glasses and contacts, one of the reasons they will do this is because they know they can simply go have LASIK surgery. When a patient comes in to receive vision correcting surgery, many will even specifically ask for LASIK surgery. Typically, this is the most widely recognized type of surgery. Although it isn’t necessarily the better choice, there is clearly already a high level of popularity and positive perception developed among the general population. This probably comes from a track record of success and plenty of positive feedback. When we broke down all the important details about PRK, one of the things which we tried to make clear is that the recovery period of the surgery will be a little more complicated and lengthy. However, if your doctor agrees to perform LASIK surgery, you will likely have a relatively smooth and painless recovery time. Although you will clearly still need to wait through a couple weeks or so of blurry vision, the healing process is generally a lot faster. If your doctor recommends PRK surgery, it will be a lot easier for the doctor to make the initial cut. After all, they can remove the entire portion of the outer corneal tissue and keep it out of the way of the surgery very easily. With LASIK, a flap is created which needs to be positioned out of the way during the entire process of the surgery. Then, it needs to replaced after the doctor has finished reforming the inner cornea. Although it may be a little more complicated for a doctor to do LASIK, the shorter recovery period is one of the reasons which you or the doctor may prefer LASIK over PRK. When you choose to receive any sort of surgery where a doctor makes incisions and changes to your body, the risk of infection is something which can really only be minimized. One of the downsides of choosing LASIK surgery over PRK surgery is that the flap which is created during the process can become infected. Although this is rare and can be treated pretty easily, it’s important to understand that this is possible. 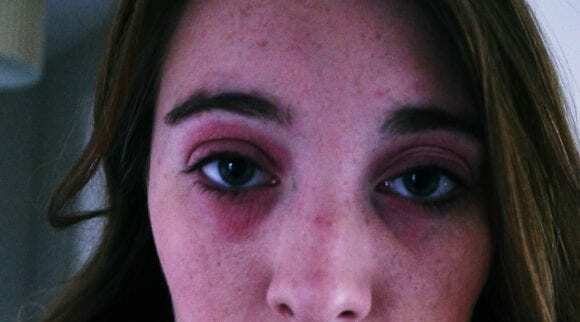 If you receive PRK, this type of infection simply cannot occur. Whether or not you were aware, our level of technology for correcting vision is pretty sophisticated and capable of quick improvements. This is especially true when we consider the time it takes to undergo surgery to correct your vision. Since the surgery itself will take around 15 minutes, there isn’t a large amount of time that you will need to commit to. Although many people who suffer from terrible vision are great candidates for receiving LASIK surgery, there are still various cases where a doctor will immediately recommend PRK or another type of procedure. Usually, if you have a thin cornea or some sort of abnormality, the doctor will recommend something different. 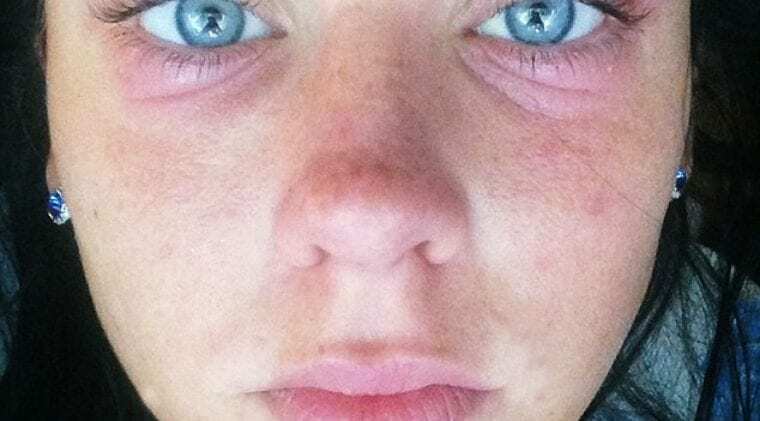 Since this type of procedure can already be risky enough, adding in any sort of variable like this which changes the eye surgeon’s normal routine can result in the need for a different form of surgery or treatment. As we compared PRK vs LASIK surgery on this page, there are clearly some pretty drastic differences in the surgery and healing process that we discussed. 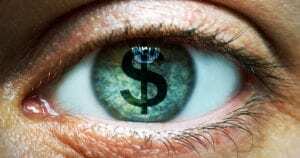 Although the process of surgery and recovery can differ when we compare PRK vs LASIK surgery, one of the most relevant similarities that needs to be pointed out is that the price of both procedures is very similar. This will also typically include the items which you need during the healing process. However, the overall price that you need to pay can also depend on where you receive your surgery, who does the surgery, and whether or not further action is required. 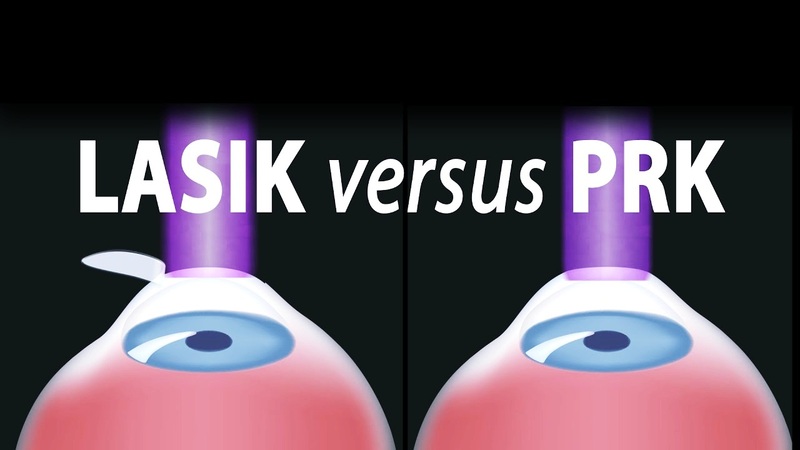 As we compare PRK vs LASIK, it can be difficult for certain people to decide which one is the better option. Since both of these surgeries are very similar and have high success rates, they are both great options to consider. 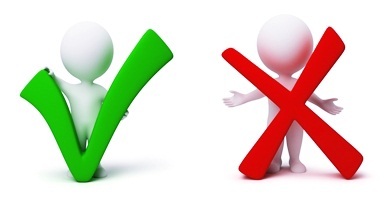 Regardless, there are pros and cons that come with both of these procedures that you need to be aware of. Although some of the these have already been described, it is still helpful to glance at these things in a more focused manner. Typically, LASIK is a wonderful choice since the price is very similar and the chances of success are about the same. However, it’s important that you understand that LASIK surgery usually results in a much quicker and painless recovery period. For this reason, people will immediately make it their top choice. When we compare PRK vs LASIK, there are clearly many different similarities between the two procedures. In reality, the similarities between these two procedures outweigh the differences. After all, both procedures have a track record of success and can help you to help either 20/40 or 20/20 vision within a short period of time. This means that you can finally put away the glasses and contact lenses for good. Although there is a small risk of further problems with both surgeries, this only happens in extremely rare cases. As a result, anybody willing to make the investment in either procedure will likely be glad that they did.